As a lover of all things pumpkin, I was excited when I saw these cookies, but ended up being pretty disappointed by them. 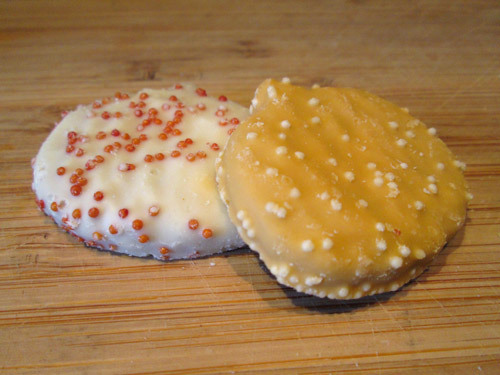 There are two kinds of cookies in this package, with slightly different flavors: white cookies, and orange ones. I found the white ones to be lacking in flavor, but they did have a hint of spice in them. They were boring overall though. The orange ones seemed to have a stronger flavor, but they still weren’t that impressive. 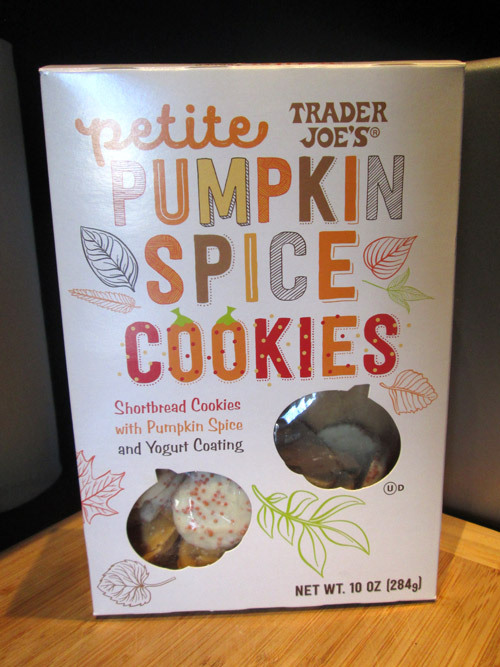 If you’re looking for a cookie with the slightest hint of pumpkin, you might like these, but I wasn’t impressed.